Last week we unboxed the upcoming Motorola Droid for Verizon Wireless and now it is my privilege to give you a full review. I am too fascinated by new technology to ignore the new wave of smart phones – it’s just that I’ve regretted going in that direction in the past. Even the ever-popular Apple iPhone, the king of the smart phone, has failed to meet my expectations in the past. My first generation iPhone lacked basic features like MMS, a removable battery, and video recording. The recent stream of so-called “iPhone-Killers” created by competitors such as HTC, LG, Motorola, and Samsung have tried to improve on Apple’s shortcomings. Unfortunately, they have failed produce a superior product and experience Apple’s success. If there is anything you should take from that last paragraph, it should be that I am hypercritical when it comes to reviewing smart phones because I have yet to experience the recipe for a so-called “iPhone-Killer”. So when I say that the Motorola Droid is my new favorite phone, you can take me seriously. Yes, yes, all of the smart phones in this generation do just about everything short of cooking for you. But the Droid just does it better with Motorola’s feature-packed hardware, Android’s new open source operating system, and Verizon’s high quality network. I’ll explain. This phone is built like a tank. It weighs about an ounce more than the iPhone, but the extra weight just makes the Droid feel like it’s expensive and has a lot to offer rather than just a heavy burden. I was initially concerned about the sliding mechanism for the keyboard, which is often the first to break on phones with a similar form factor. However, this isn’t the case. The Droid is far from flimsy. Although the phone doesn’t sit flush on a flat surface; the shape of the back elevates the phone just enough so that it doesn’t vibrate off of a table or let the camera get scratched. The lip below the screen didn’t seem to serve any purpose, but I soon realized that it houses the microphone and helps the user to tell the speaker from the microphone. I only have a few small complaints. My first complaint is with the external buttons. Don’t get me wrong, all three power, volume, and camera keys work fine, but they sit loosely in the frame, which feels as though it takes away from the quality of the build. 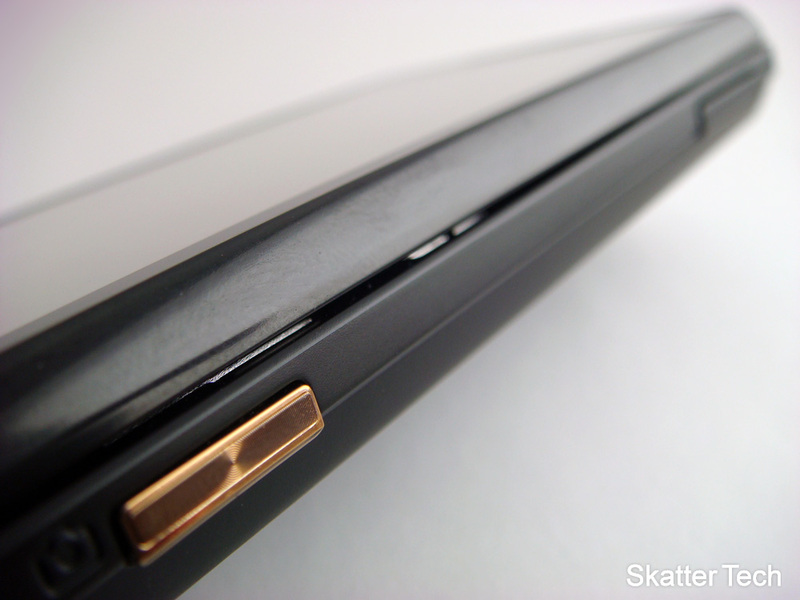 My second complaint is with the battery compartment cover. It slides off rather easily. It even came off once when I pulled it out of a tight pocket in my backpack. I suppose that’s better than not being able to take it off at all, but it’s something to keep in mind if you like your jeans extra tight. Measuring 3.7 inches and 480 x 854 pixel resolution, the Droid’s touch-screen display is beautiful, bright, enormous, and knocks competitor’s displays out of the park. The screen is both larger than the one found on the iPhone and also has over two times screen resolution. That means it can easily fit and render websites normally designed for computers. Plus, it’s large enough of a resolution to playback DVD quality movies. It’s also accurate and sensitive enough to register touches properly. Like all glossy touch screen phones, the screen tends to get covered with fingerprints and smudges, but it’s nothing your t-shirt can’t fix. 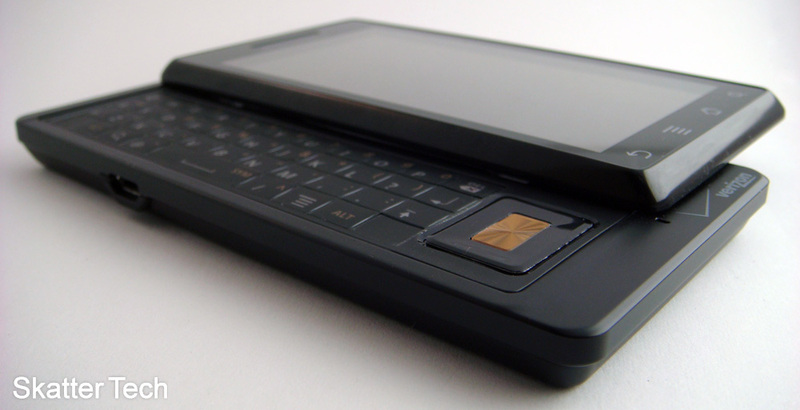 The Droid offers both a physical keyboard and an on-screen keyboard to suit your taste. The on-screen keyboard works perfectly in both horizontal and landscape modes. A key press results in both a sound and/or haptic (vibration) feedback. In fact, the on-screen keyboard is almost the same as the iPhone’s, so it should be an easy transition for those used to Apple’s keyboard. The physical keyboard is pretty standard. The buttons are square and the keys become illuminated when it’s dark. There’s nothing incredibly special or annoying about it. The only issue is the layout. Rather than having slightly offset keys as found on standard keyboards, everything is aligned in a perfect grid. However, just like any other phone, you get used to what you have after a day of use. I shouldn’t understate the keyboard. Many smart phone owners are first time buyers who are accustomed to the traditional click and feel of physical keyboards. The Droid wouldn’t have been as interesting of a phone if it didn’t have one. One major drawback to the keyboards is the lack of language interchangeability. Android does not offer native on-the-fly language switching. There are a few applications on the Android Marketplace that will do this for you, and something may be in the works for future upgrades, but I’m disappointed that the Droid can’t handle more languages than I can out of the box. The touch screen interface is flawless, responsive, and frequently used, which makes the Droid extremely intuitive. 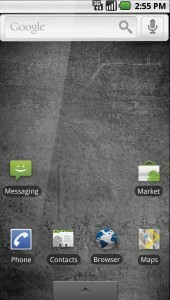 Surprisingly the Droid lacks multi-touch gestures, while the European version, called the Milestone, offers it. I can’t imagine why they left this out, but hopefully it can get fixed with a future software update. But even without that, the Droid is just as easy to get along with. I felt that the double-tab to zoom command was easier than the pinch-to-zoom since it can be done with just one finger. There are four touch-sensitive spots below the screen: back, menu, home, and search. The interface controls for nearly every application stay in an orderly manner, so the touch sensitive keys work perfectly everywhere. My favorite by far is search, which looks through both your phone and Google. Thanks to the Droid’s ability to multitask, this feature can be used at just about any time without losing your work. For example, say you are in a call with a friend and need to find the address of a restaurant. Just hit search and type in the name of the restaurant. If the information is not already saved in your address book, it will search Google and display results while remaining on the line. Android’s voice recognition engine is unparalleled and works with almost everything. That includes slang and even thick accents; “Call Kreestan” works just as well as “Call Kristen”. Android was even able to recognize my French and (bad) Spanish without changing any settings. “Direcciones al gymnasio” (Spanish for “directions to the gym”) gave me a list of nearby gyms while my locale was still set to English. Unfortunately, it doesn’t allow using this feature to dictate text messages, but if it did I would image it would work better than the Samsung Rogue. With laws prohibiting texting while driving, it would be a great idea to let you speak your texts through a hands free device. With all the other stunning aspects of the Droid, it’s quite easy to lose sight of its primary function: a phone. The Droid does not fall short in this category. Calls are as clear as ever and the microphone intelligently cancels out background noises. During one particular call, a caravan of buses passed by not three feet away from me, and the person on the other end didn’t even notice. Until I mentioned the busses to see if anything was heard, the caller thought I was in a quiet room. 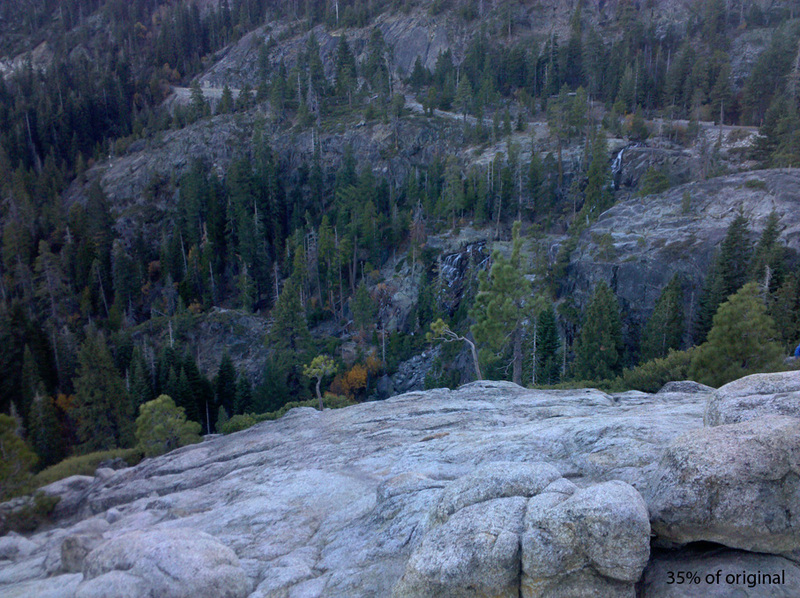 Signal strength was strong just about anywhere I went in Northern California and I didn’t face any dropped calls. And as I’ve mentioned before, it’s easy to multitask while on the phone. You can add callers, look up contacts, search for information – the only thing you can’t do while on the phone is use the microphone. The Motorola Droid’s features integrate incredibly well with its operating system, Android 2.0, so it’s hard to talk about one without the other. I decided the best way to really discover the capabilities of both by taking the phone on the road and use the Droid for everything and really push it to the limit. We had no idea where we were going, but we knew what route we wanted to take, so we packed a lunch, hopped in the car, plugged the Droid into the stereo, and created a station for The Kills on Pandora. 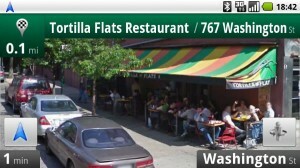 The Motorola Droid on Verizon is the first device to feature Google Maps Navigation. 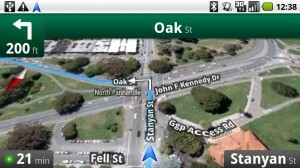 It’s a completely free service that offers 3D maps with voice guided turn-by-turn directions. The VZ Navigator available on most Verizon Wireless phones costs an additional $10 a month for use. A decent turn-by-turn direction App on the iPhone sells for a one time fee of nearly $80-$100. On the other hand Google Maps Navigation is entire free and is offers a lot more. Our journey through Sacramento was a familiar one. Kristen (my lovely driver) and I were feeling the familiar drone of the autopilot set in, and decided that a caffeine fix was necessary. 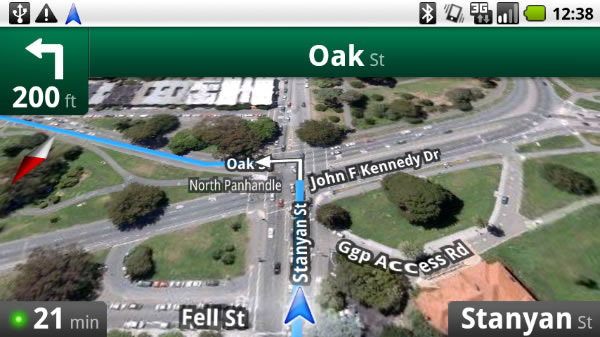 The Droid features a “Car Home” mode, which offers quick access to on-the-road navigation features. I hit Quick Search and asked for “directions to Starbucks”. The voice recognition registered all the terms successfully and gave me directions to a Starbucks right off of the highway in Folsom. The navigator showed us a Google Street View of our destination, so it was easy to point out where it was upon arrival. If I had the official dashboard mount, the Droid could have easily replaced my current GPS. The drive through El Dorado National Forest is beautiful. There were lots of trees and mountains that probably should have thrown off the GPS or at least our streaming soundtrack, but both remained strong. We lost GPS signal once while weaving through mountain roads, but that lasted less than five seconds, and the only reason we noticed was because the navigation voice started to give us alternative directions. After seeing a couple small rivers running along side the highway, we had the urge to go find a waterfall. With the GPS and Pandora still running, I searched for “nearby waterfalls”. The browser remained fast even while driving through a forest with the other programs running in the background. I was given results relative to our location – our new destination was Vikingsholm in South Lake Tahoe. The Droid sports a 5-megapixel camera. It produces images with a maximum resolution of 2592 x 1936 pixels. The scenic road through El Dorado was a perfect place to give the camera a shot. With 16GB of memory on the included Micro-SD card, I wasn’t afraid to keep snapping. The camera took some great shots, though I did find that the automatic stabilization function needed the camera to remain still for a few extra seconds to work properly. The digital zoom produced some pretty grainy pictures, as expected. The flash kicked in at appropriate times and improved pictures taken in darker environments. Plus the geo-tagging feature marked coordinates of where those photos were snapped. With a program such as Google Picasa or Apple iPhoto, you can easily import and view your photo library on a visual map. The Droid’s large screen is great for reviewing photos and videos, though I was most impressed when I played back the captured videos on my laptop. Videos are shot at an impressive 720×480 pixel resolution at 24 FPS. The quality was excellent and it didn’t jitter at all. Android also supports sending images and videos via MMS, email, or uploading to services such as Facebook and YouTube. The Droid’s camera won’t be replacing a traditional camera anytime soon, but it’s a big step up from other camera phones. Android has a centralized notification system to keep track of the things happening on the phone. By simply dragging down the top toolbar, you can view alerts for new emails, texts, missed calls, finished downloads, calendar reminders, and voicemail. On the other hand, the iPhone simply places a number above Apps that have an alert, but that requires swiping through multiple pages to check on them. The BlackBerry Storm2 probably has the most similar ability with its built in news feed. Simply organizing those updates into one place makes thing easy and responding to those alerts is just a single click away. The system also provides a simple interface to access applications that are running in the background. For example, it will show what song it playing on Pandora. It’s definitely going to be hard to go back to other systems after giving this a shot. 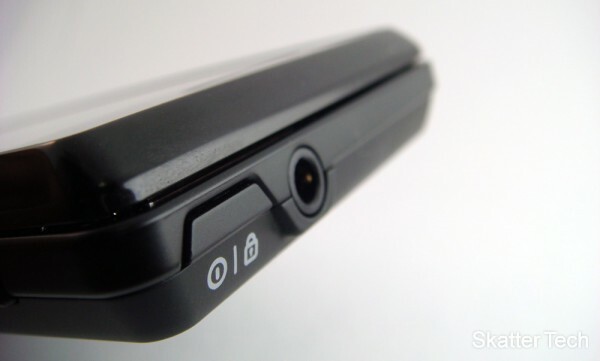 The Droid uses a standard 3.5mm audio jack and has no problem putting out high quality sound. It sounded just as good as my iPod Touch. But using headphones on this trip would have been selfish, so I cranked up the volume of the external speakers so that Kristen could listen in. The speaker’s sound quality was absolutely fantastic; they sounded better than my three-year-old Macbook’s speakers! The speakers would not put out much bass, but surprisingly they did not garble the rest of the audio. From ten yards away with a river running in the background, Kristen was able to clearly comprehend Jack White’s lyrics. While listening to Pandora, I came across a song I really liked by the White Stripes. I clicked on the “Buy” button in the menu and it took me straight to the song’s page on the Amazon MP3 store. I bought the song and opened up Music for an encore. The purchased song was added into my music library with the existing songs from the White Stripes album. Although the phone’s media player offers all the basic functionalities such as browsing by Artist, Album, Genre, or Songs it does have a few issues. For example, you can’t view all the songs by a single Artist, but rather have to jump back and forth through the Albums by that Artist one at a time. Edit: The media player does allow you to view all songs by a single artist, but it was a little tricky to figure out how (touch and hold the desired artist, select “Play”, and hit the “Playlist” button to view all songs). It’s a well developed player and includes Album Art, a shuffle and a repeat feature. Although it could use a few tweaks, it’s a completely viable alternative to purchasing a dedicated MP3 player. Before my road trip, I manually copied a few hundred songs from my computer to the phone with the included Micro-USB cable. The phone appeared as a mass storage device and didn’t require any software. Android automatically recognized the music and other content. Although people despise the bloated iTunes software, it offers an easy syncing relationship between a computer and an iPhone/iPod. Unfortunately, neither Motorola nor Verizon suggest nor include a tool to manage your media. Edit: Scratch that, Motorola just released a tool called Media Link which easily lets you manage music, photos, and videos. Computer geeks will find a solution that suites their needs, but others will be left in confusion. The battery was at about 75% when we left Davis. After four hours of multitasking, the Droid was just about finished with a little bit of juice left to take a few pictures, exceeding my expectations completely. The official specs claim 6.4 hours of 3G talk time and about 11 days of standby. As we headed to the car to start our trip home, after four hours of heavy multitasking, the Droid gave me a low battery notification. It wasn’t just a standard, single-line message; it brought up a panel that displayed the power consumption of each running application. Right at the top of the list were my power hungry applications. I knew where we were going, so with 5% battery left, I closed all applications and put the Droid on standby. It stayed on for another hour, which was both unexpected and impressive, though I would recommend purchasing a car charge if trips like these are a regular occurrence. It only took about three hours to completely charge the phone once we got home. 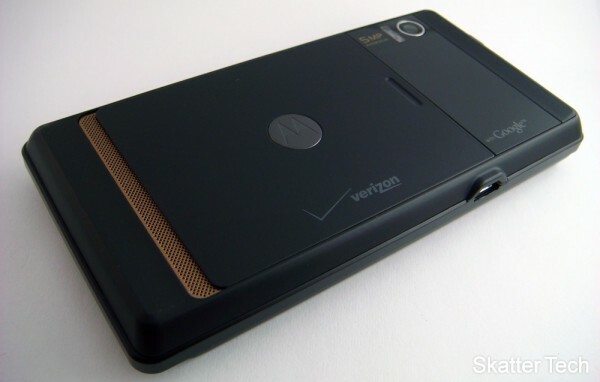 So that brings us to the big question, “Would you recommend the Motorola Droid over the Apple iPhone?” Yes and No. In terms of technical specs, yes the Droid is better. Yes, the Droid does have more features. And yes, I would absolutely recommend that you check it out, but in the end it is a matter of preference. I don’t believe the Droid will be the mythical “iPhone-Killer”, but there’s a good chance the Android platform will. 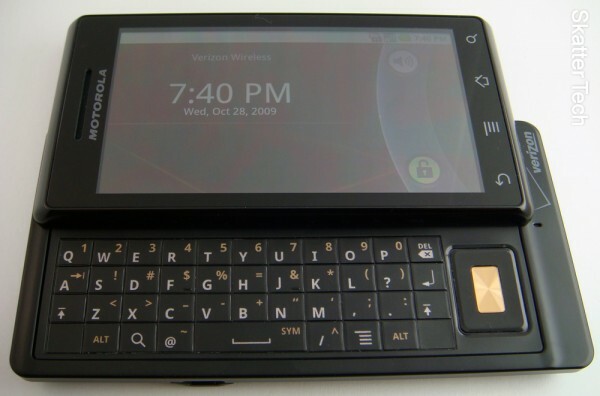 For example the HTC Hero which we reviewed last week and the upcoming Samsung Moment on Sprint both run on the Android platform. This means all the same set of applications downloaded through the Android Market, similar to the iTunes App Store, will run on any of those devices. Unless Apple drops a bomb in the near future with some major changes to the hardware and opens up the software, Android has a clear shot to take out the iPhone. 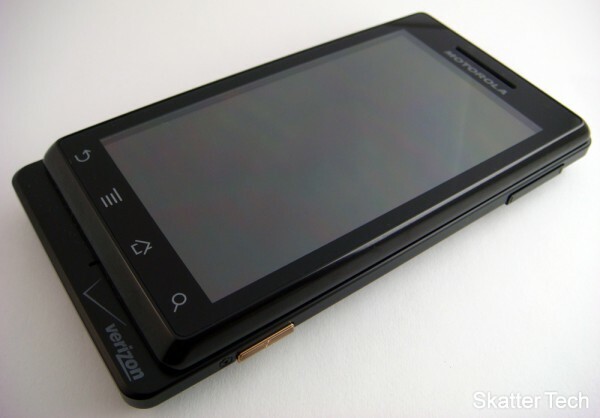 If you’re convinced and ready to buy a Motorola Droid, it’s going to hit Verizon Wireless stores this Friday, November 6th, 2009. Due to high demand, Verizon is opening all it’s stores earlier than normal at 7 AM. It’s not that expensive either considering the powerful camera, GPS Navigator, and 16GB MP3 player it packs inside. It will only set you back about $199 after signing a new 2-year contract and sending in a $100 mail-in-rebate. If you’re an existing customer who’s eligible for an upgrade, you should be entitled to an additional $50 or $100 discount based of the price of your current calling plan. Note: This review was edited by Sahas Katta. I have to say, I have been using a simple Verizon Cell phone for years,(which does text, games & other basics, besides calls) and friends were pushing me to jump into the smart-phone waters. They[mini 9’s] run great with a 64GB Runcore SSD, it is more then 4x as quick as the one that come with. will be able to go in at 10AM on Friday to pick mine up, without waiting in a line! after I’ve had a week to use it. Thanks, but it was Ian that wrote it. Please let us know when you get your Droid! I think you are missing the whole point of Android. I don’t think it is meant to be an ‘iPhone Killer’ as such. It IS meant to be a WINTEL killer. Windows Mobile based phones are not much of a contender in this battle. No one has been looking for a “WINTEL Killer” since the iPhone SDK was released. Android is not the “iPhone Killer”. No one is asking “will Android beat the iPhone?” The question is “will phones BASED on Android outsell the iPhone?” The answer is unclear, but it is my belief that Android’s feature set is too attractive for large companies to ignore, and Apple can’t beat them all. this phone looks f-ing awesome. and win mobile is a POS. iphone is dead. i am getting one of these monday. my contract is perfectly up this weekend!!! i cantttt waittt! @ Sahas. Thanks for clearing that up for me. I just noticed Ian as the author, below, where it states you edited it. My eyes aren’t what they used to be, and I think I’ll be going to get a new pair. The smaller text is getting harder to see. I’m trying to force most sites, to use a size 9 font minimum, but it doesn’t work everywhere yet. Not only, is a great replacement, for my basic cell phone, but the OS works flawlessly. I think it displays webpages awesomely, and all I need to do is drag my finger around to see other parts of the page, when it is displaying it as you would see it on a larger screen! I am going to start downloading some games, and apps for it tomorrow. Already a few people with other types of 3G phones, like an iPhone, or blackberry, have come over after noticing it, and want to check it out. One of them stated he will convert, in a few Months, when his contract is up. He said hates his iphone, and that he had a phone with Win CE 6 before that, and didn’t like it either. All in all, I’m glad I waited, and found this review. Thanks for writing it Ian! I’m glad I was able to help John! I noticed in your comparison chart that the 16 GB SD memory was expandable. What is the maximum size? I’m sure they’ll become available within a few months tops! Motorola notes a 32 gig max, though that may increase with a firmware upgrade. I think SanDisk issued a press release saying that the cards will release in the second half of 2009 and a 64 gig version will follow its release in 2010. Hi..I tried the Droid..It did work very well. HOWEVER, I ended up returning it as I find many of the fonts used throughout the system to be just too small to see easily (without reading glasses) :) So I am considering the Storm 2 instead..I read your review and did try it at the store…i like it and especially like that I can make the fonts BIG. Seeing that you just recently reviewed both, I was curious as to whether you think I am making a mistake??? My main needs are excellent phone call quality, easy to see font for texting…occasional email and occasional web…other stuff just nice to haves. 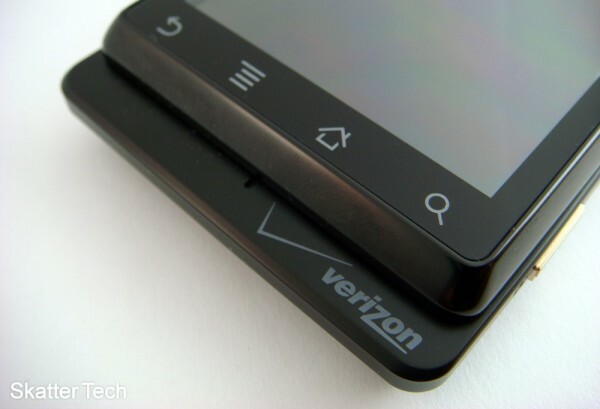 I am just worried about recent bad quality of some of the newer verizon RIM devices? Thanks! Both the Droid and Storm2 are damn good phones. Many reviewers didn’t like the Storm2 due to the clicky touch screen. If you think you can get used to that, it’s great. However keep in mind both these phones are also very different. BlackBerry has quite a few more enterprise and business features that the Droid may not necessarily have out of the box. Call quality and signal is great on both phones. If you liked the custom font settings on the BlackBerry, that might be the only option if the Droid can’t change. Email is great on Storm2, but browser is crap compared to the one on the Droid. The Storm2 is the best BlackBerry device I’ve used, but I still feel the Droid has an overall win. I was able to change the font size on my Droid, no problem. The only problem is I can’t get the changes to stick. The font size increases while the program is open, but as soon as I close it the font size goes back to normal. I was also wondering how well Droid handles email… I have several email accounts from different ISPs linked to my Storm and they just pop up the minute any of the accounts gets an email Can Droid do that?? Yes, the Droid can do that. I have an annoying number of accounts that I have to check (I wish I had mentioned this). There are a couple of ways to do it. Option 2: Use the Email application! Out of the box, the Droid can be configured to get email from any account, including corporate email accounts like Exchange. I’m sure there are other ways too, but you can’t lose with either of these options. I personally use Gmail to check all my accounts because I like the web interface (and I don’t get to keep the Droid for much longer). There are many benefits to having an open platform OS and the ability to evolve quicker than anyone else. I have had the droid for a day now. And the one thing i still can’t figure out is how to get it to vibrate when i receive a text message. It’s the only thing that bothers me about this phone. No hands-free bluetooth on this and other android-based phones at this time. A deal killer for me as I don’t want to mess around with the phone while driving vs. initiating from my bluetooth headset. This is a serious weakness in my opinion. Anyone with a workaround? Please post! I like what I see here otherwise! That’s incorrect. Hands-free Bluetooth devices have worked since Android 1.0 on the G1. I have also used one with this phone. Josh, in your Messaing App, go under Settings > Notification Settings and select Vibrate. 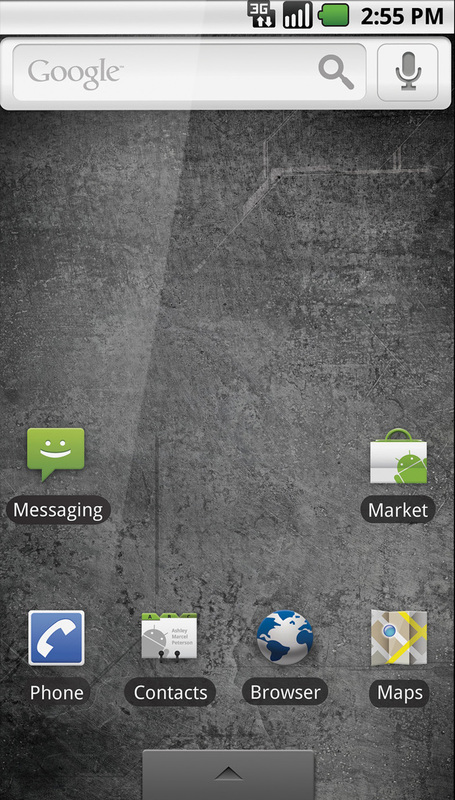 I’ve got to say, Android has got to be one of the best if not THE best smartphone OS I’ve seen. Open Source Development is what makes Android unbeatable. Does the droid not have this one great technology? It does not have an FM transmitter. No one talks about it because add-on devices are available for cheap and the lack of an embedded transmitter is seldom a deal breaker. The Nokia N900 has one! I wanted to ask you a few questions about this phone. First of all, I know you say it’s a super phone but can it really put out as much as you say it can. I don’t mind spending alot but I want it to put out all the time. 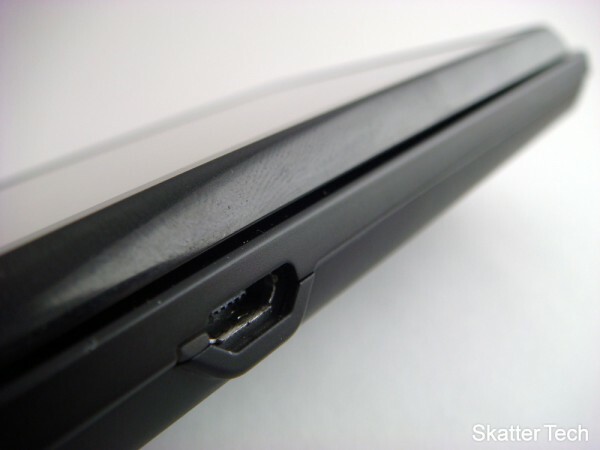 Also, I have an external hard drive that I would like to insert into the device, how would I go about doing that? 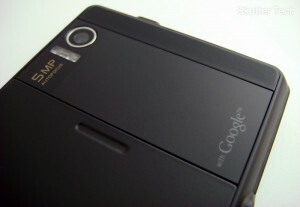 I am planning to get this smartphone soon. But i MUST know 2 things first. I heard that it comes with a 16 gig SD card. Is this true? Also, do you have to press a button to switch to landscape/turn the phone or does landscape only activate when you slide out the keyboard? Not true to switch, from what I found playing with it in the store. YOU HAVE TO PHYSICALLY TOUCH THE DEVICE IN ORDER TO MAKE A BLUETOOTH CALL IN SPITE OF ANYTHING VERIZON REPS WILL TELL YOU ABOUT THIS PHONE. IT’S A PROBLEM IN THE OPERATING SYSTEM, SO IS A GOOGLE SOFTWARE GAP. Actually, after seeing some videos on youtube, i am even more cofused now. Some people would turn it and it would switch, while it would stay portrait for others. does this mean that there is a setting or something? The Droid does come loaded with a 16 gig MicroSD card. You can turn its automatic screen orientation feature on and off (http://developer.motorola.com/docstools/library/Handle_Screen_Rotation/). Android’s Bluetooth Voice Dial cannot be initiated without touching the phone. Enhanced Bluetooth Voice Dial features are apparently planned for a future release (http://source.android.com/release-features). Thanks, but i have just 1 more question. The android 2.0.1 or whatever it’s called, do you have to pay for the update and can it be done at home? Also, will 2.1 be available for upgrade anytime soon? Has anyone found a solution to making the fonts on the phone larger. I also tried the Spare Parts and even the people at the store couldn’t figure out how to make it continue to work. This has made me really not enjoy the phone as much as I could. I can’t believe that Motorola & Google missed this. I’m sure I’m not the only one getting older and can’t see small fonts. Anyone with a fix? There is no solution to making the fonts larger. the Spare Parts app doesn’t work with the Droid. Lack of ability to enlarge fonts in email is another serious google flaw with the droid (also the lack of ability to give bluetooth commands). I spoke with a very nice rep at Motorola (don’t tell how you got her name) 847 523-9652 after sending a ltr to Motorola CEO. I just left her another message since i just discovered you can’t enlarge fonts. You can enlarge fonts when composing email. Go to browser, settings,text size, and select large or huge. However, it doesn’t change incoming email. I told this to Verizon tech and he apparently doesn’t know either that this is a google flaw. Claimed no phone but blackberry can’t enlarge email text. Not true, i-phone does. Anyway, I think everyone should push Motorola and Verizon to correct these issues. Motorola did not say they are fixing the bluetooth issue on the droid. Don’t know about email issue yet. Very annoying since after 2 weeks of playing with this phone I don’t want to return it.